In the preceding example, you created a new view by starting with a SQL statement. Microsoft Access then updated the designer to display the table and grid to graphically represent the SQL statement. 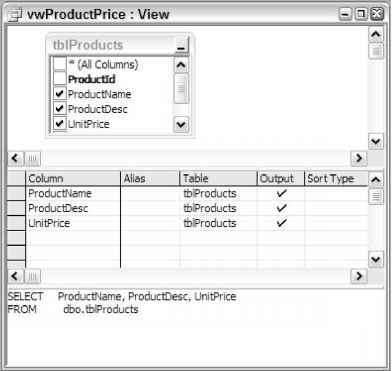 The SQL statement selects the ProductName, ProductDesc, and UnitPrice fields from the tblProducts table.